When in an interview the Question of what is my relationship with Charitable Work? For the first time I was puzzled … how have I been contributing to society .. something beyond myself ? In my younger years … I was the Director of community service at My High School which I attended for FOUR years. In college my sorority held events and did activities monthly. Or I attended events for other frats or sororities. Back then the answer would have drawn me to explain a multitude of involvements. But now a few years after that- where do I stand ? The Nomination Called – I had been summoned to take a video of myself doing good. In however which way I wanted I could #feedthedeed . Options were limitless. The decision came down to what would be both meaningful and/ or some what convenient. Instantly prompted me to look to my belly for the answer. The polar vortex of 2014 is mad all mighty. I wanted to provide a hot breakfast and coffee giftcard to a homeless person. > Ann Arbor lacking homeless people ? 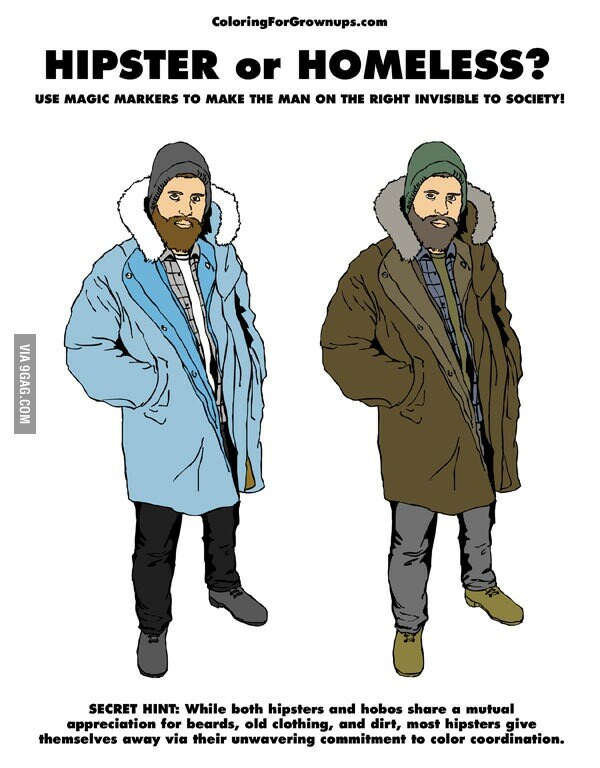 > Homeless or Hipster ? Sometimes in Ann Arbor it is hard to tell if an #ootd is the fullest extent self expression or the debacle of a homeless person. Regardless and frustrated that I could not complete what I had set out for… I made a reaction video. Reaction videos are common amongst Gen Y kids. #RV is an advanced and modern version of a home video. How did I proceed ? By Posting my reaction video to my Snapchat Story and than downloading it to my cell phone. I than chose to upload the 4 second clip to my FacebookTimeline. The news circulated to my close network ties. Facebook Timeline casts a larger net than the Snapchat Story. The communication with Snapchat Story is a more direct line relationship. It tracks viewership and allows for quicker & perpetual contact. Facebook may be seen by a larger amount of close network ties. The true value lies in what sort of influence the mass amount of views retain. Your social influence can be measured by a Klout Score. What can I deduce by comparing the results of response is that both create awareness. What came to me was … the person receiving must not be limited to oneself who is categorized as homeless. Who wouldn’t love a little grub!? I personally love being treated to a meal ! Do YOU know the Legend of the DIA?? THE Detroit Institute of Arts, a place of deep historical value. This establishment holds high regards to the state itself and the nation. It may be what saves the city! July 18th 2013 the city of Detroit filled for Bankruptcy. Unheard of for any other major city … that once was. Art guides life and culture. Art inspires & re invigorates. Art will revitalize Detroit. Detroit Artist Market (DAM) supports and guides Detroit artists to fulfillment. Endowing the creationist with the green space. * green space * a venue that is funded for artist creation . Green – money is no object the desires are met. Fresh faces fill the area with open minds and hearts. The space is bright & glowing. Spreading green to the DAM allows it to function. I hope to get down to see two separate exhibit rotations in the next year. Today there is a personal social responsibility placed on people via social networks. What we choose to share and create awareness around is solely up to YOU. Would you rather disengage and not have a profile at all ? The first is your social responsibility persona that is upheld in a commitment to your network of close ties. Are you a nice person? Are you not? What are you really being held accountable for? Must you complete the deed in 24 hours? Whats really going to happen if you don’t? Wouldn’t it be best to commit to a long term charitable thing? Is it disingenuous otherwise? Will our Facebook Friends defriend us for not completing the #feedthedeed challenge? Is it not good enough to make a monetary donation through the internet? Is it really a challenge to do something nice?? Why does the act of feeding the deed be limited to a one time jolt of forced energy ?! To continue the #feedthedeed im going to surprise a few fantastic followers of my social network. May it be YOU? just wait and see.